Cloudflare has asked a California federal court to dismiss a broad copyright complaint lodged against the service by adult entertainment publisher ALS Scan. The CDN provider says that it can't shut down pirate sites, even if it wanted to, adding that it's not inducing piracy either. In a complaint filed at a California federal court two months ago, the company accused the CDN service of various counts of copyright and trademark infringement. 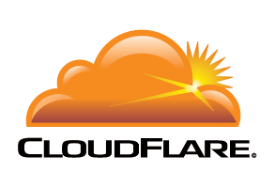 ALS listed several copyright-infringing websites Cloudflare does business with, but which it allegedly failed to terminate as clients. Yesterday, Cloudflare responded to the allegations (pdf), arguing that ALS Scan has no legal grounds to come after them. For this reason, they say the entire case should be dismissed. Among other things, Cloudflare argues that they are not liable for contributory copyright infringement. Even if it wanted to, it couldn’t take any measures to effectively stop pirate sites from operating. If Cloudflare terminated the accounts of allegedly infringing websites, the sites themselves would still continue to exist. It would just require a simple DNS reconfiguration to continue their operation. “Indeed, there are no measures of any kind that CloudFlare could take to prevent this alleged infringement, because the termination of CloudFlare’s CDN services would have no impact on the existence and ability of these allegedly infringing websites to continue to operate,” Cloudflare writes. As such, the company argues that it’s not “materially contributing” to any of the alleged copyright infringements. This role puts Cloudflare on par with other third party service providers such as domain registrars and advertisers. The question of whether these services can be held liable for pirate sites is at the heart of this case. The CDN provider further stresses that the claims for contributory copyright infringement also fail under the under the “inducement” theory. Under the Grokster ruling, inducement would require an intentional form of advertising or messaging where the public is encouraged to infringe. This is not the case here, the company argues. “Here, ALS has pleaded no facts regarding such a theory. Instead, ALS makes only conclusory allegations using the term inducement, devoid of any factual support,” Cloudflare writes. In addition to the above, Cloudflare says that ALS fails to state proper claims other forms of copyright and trademark infringement, asking the court to dismiss the case. Advertising network JuicyAds, which is also named in the suit, requested the same earlier this month. All parties will have a chance to defend their positions in a court hearing, after which the court will have to decide how to continue. With theoretical damages that can run to dozens of millions of dollars and well as broad liability implications, it’s expected to become a heated fight.